I'm the first to admit that I'm not the most organised of people. 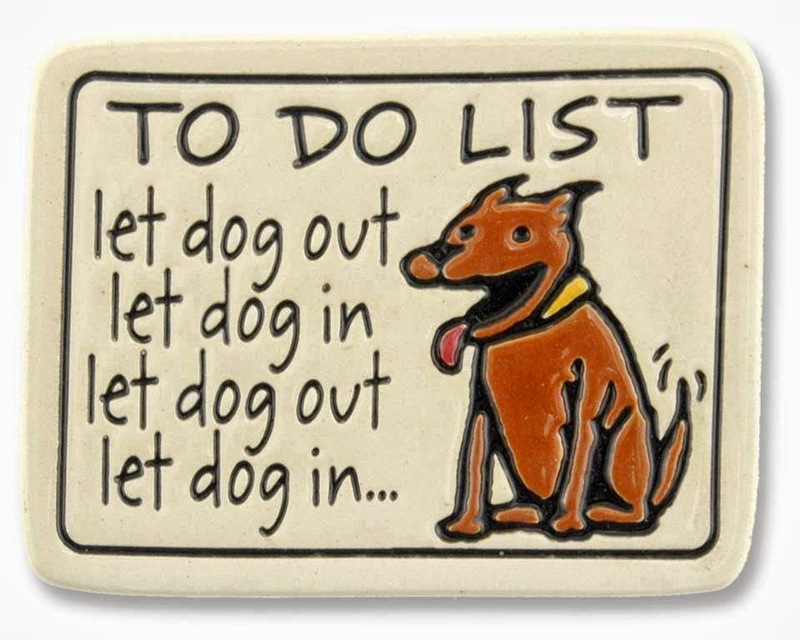 Not only that, but since retirement I have noticed that I have now acquired a list of regular chores to do. I have taken on change as the world around me has changed. 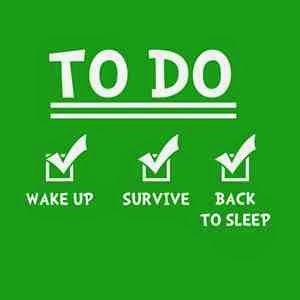 Changed from one of the working week with a bit of weekend leisure to one mainly of leisure with a bit of work. In other words, I have become to a point a creature of habit. Then came the realisation that there is only one real change. A change that is so fundamental as to be almost a return to the bad old days of working for a living. I have come to loathe the weekends. Because a visit to a supermarket or the city centre on a weekend, it's full of people rushing around jostling each other. For years my commute to work by car would have taken well over an hour. However, our favourite mode of transport back then was the motorcycle. A form of transport which would get us to work in the city centre in half the time of the car. Essentials for the day would be gathered by a quick run into the shopping centre in our dinner hour. So I decided that I should attempt to do the first three on the list of impossible things to do. I never had enough spare time in the past to attempt any of them. The first was to count the number of hairs on my head. In the past it would have been a much harder task, but more recently the scale of the task has been significantly reduced. The second was the 'how brave are you' challenge. That task is to wash your eyes with shampoo. But after a lifetime of quick showers on a working morning. I had grown an immunity to mega stinging shower shampoo. The third task was like patting your head and rubbing your belly then changing hands. The task is to learn to breath with your tongue sticking out at the same time. 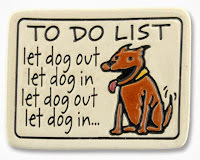 I love such challenges of dexterity, by the way its also OK to put your tongue away now! I also thought about creating my own bucket list. However I am extremely lucky that the Memsahib does a twice daily bucket lists on my behalf. I have to admit that the lists are much more of a cross between a fatwa and an edict. Then I came up with what I think is a workable solution. It's what I call the Phuket Island list. As the weather gets colder, a trip to a warmer climate would be good. So, maybe one day if I can complete all the tasks, I will get to pay a leisurely and relaxing visit Thailand. Then I came up with the ultimate list - The CaRT Phuket list. This is a list of all the people in CaRT who I think might already have a Phuket list all of their own. It's a big list! 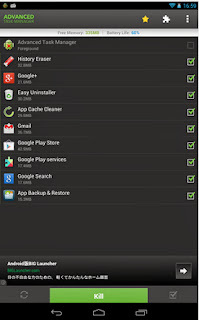 Here is a bit more on preserving you smartphone battery. Have you got either Wi-Fi or GPS enabled? One of the biggest issues with any smartphone Wi-Fi or GPS applications is their reputation for being battery hogs. When Wi-Fi or GPS is turned on your mobile phone is always going to be trying to connect to a network. It's one of those simple solutions, if you don't need it, just disable the feature. Scanning for an open Wi-Fi service is one of the most battery-intensive tasks that your phone performs. There was a time when using Wi-Fi could save you money on calls. For instance using Wi-Fi to route expensive calls over VOIP. With many of the 1000 free call minutes packages available. It's not an option that is used as frequently. However if you are going to be downloading data onto your phone its still often faster than 3G and there is no worry about contract data caps. The modern mobile phone is truly a very smart phone. You can read eBooks, it's also a watch, you can listen to radio broadcasts, or take a few photographs. But it does not end there, you can also record video, you can record sound. With the plethora of applications available the smartphone is also a computer that can surf the web and with the magic of GPS map your location anywhere in the world. Last but not least you can send a text message as well as make the occasional phone call. Running a GPS on a smartphone requires 3G or 4G to be active the entire time, which also drains the phone battery rather quickly. However, GPS navigation with a smartphone can be hindered by the physical features of a phone, such as smaller screens, limited volume control and short battery life. I sometimes use the phone GPS when in the car. However, while driving, it is almost a necessity to have my smartphone plugged into a car charger for navigating anything more than a short trip. GPS, or global positioning satellite, is a satellite-based navigation system used to give exact location and time information anywhere on Earth. The system is accessible, free of charge, to anyone with a GPS receiver. A standalone GPS unit is better when compared to smartphone navigation apps. It gives more control over the navigation experience. Navigation is available in remote areas where cell phone data service may not reach. A standalone GPS often proves to be more accurate than many of the navigation applications available on smartphones. A picture sometimes is the best way to pass on a great deal of information at a glance. In this example we can see a potted version of the earth through all its time divisions. Starting with the 'Archean' to the 'Protozoic' where the first signs of life have been detected in the rocks from this time. 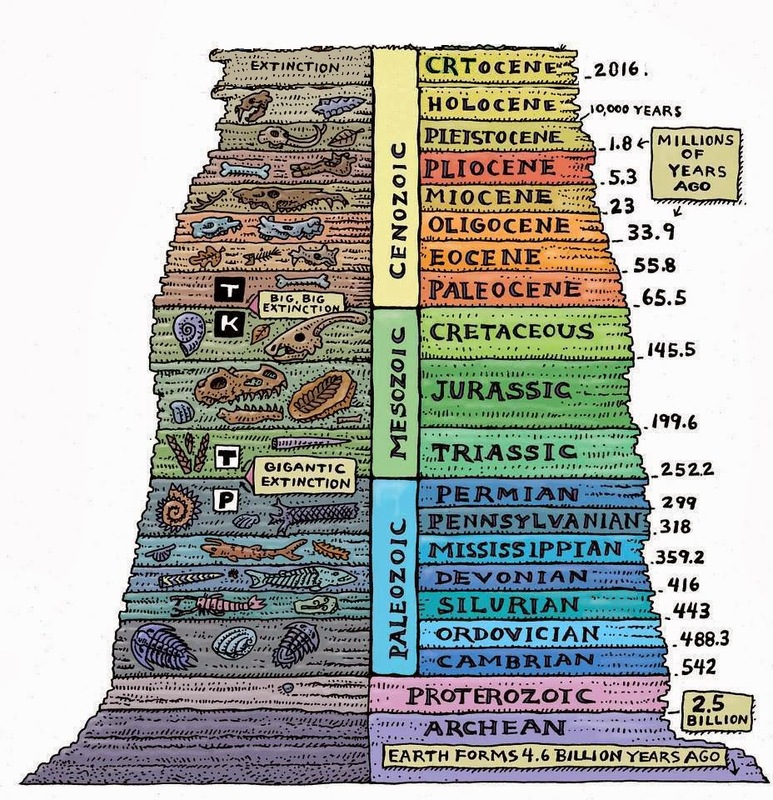 Fossils of water living creatures highlight the 'Cambrian' to the 'Permian' era. The Mesozoic is highlighted by the periods known as the 'Triassic', 'Jurassic' and 'Cretaceous'. When life moved onto the land. Either side of which are periods of mass extinction. A time that brought us the dinosaurs. This brought the Cenozoic period and the era of mammals. 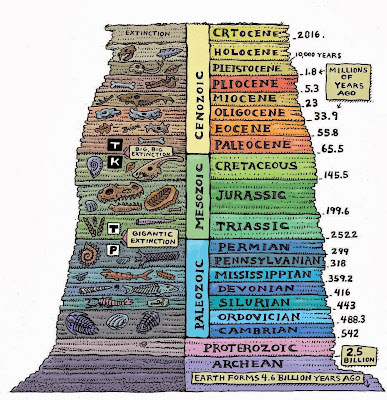 Starting in the 'Paleocene' right through to the long awaited mass extinction of another set of dinosaurs in the 'CRTocene'. Are you charging your battery properly? Batteries are much more of a complicated issue than you might realise at first glance. Its the usual story, if you don't understand them you are likely to abuse them. At the same time shorten their effective working life. All batteries have a finite amount of charge discharge cycles they can complete before they die. What kind of battery do you have in your phone? If you are not sure why not look now. Nickel–cadmium NiCd battery. Throw it away as this type is almost obsolete! Nickel–metal hydride or NiMH or Ni-MH type batteries benefit from being allowed to run down fully. This means all battery cells are consumed equally. Running the battery flat is preferable because it means no cells are overworked to compensate. Memory effect, is an effect observed in nickel cadmium and nickel–metal hydride rechargeable batteries that causes them to hold less charge. It describes one very specific situation in which certain NiCd and NiMH batteries gradually lose their maximum storage capacity if they are repeatedly recharged after being only partially discharged. The battery appears to "remember" the smaller capacity. The term is often misapplied when a battery appears to hold less charge than was expected. These cases are more likely due to battery age and use, leading to irreversible changes in the cells due to internal short-circuits, loss of electrolyte, or reversal of cells. Lithium-ion or Li-ion battery. They are one of the most popular types of rechargeable battery. With one of the best energy densities, almost no memory effect and only a slow loss of charge when not in use. The vast majority of smartphone batteries are the lithium ion type. These don't benefit from being allowed to charge down fully, as the lower the charge, the harder the battery has to work, increasing wear on all cells. Keep the battery charge above 25% charged to avoid this. Not a great deal to report I'm afraid from under the cratch cover on Nb Dulwich Dishwasher. I have had an interesting week. On Monday I paid a visit to Lord and Lady Henley 'cocky' Cockmarsh a pair of retired trustees. They were sat outside their retirement home, enjoying the dappled shade under a tree. However, I was somewhat taken aback when Lady Cockmarsh turned to Lord Cockmarsh and says. 'Oi, Cocky, I'm 83 now and I'm just full of aches and pains. How are you feeling?' I could see Cocky cogitating for a moment and then he says. 'To be honest darling I feel just like a newborn baby.' Lady Cockmarsh said 'Really cocky, just like a new born baby, hows that then?' Lord Cockmarsh says 'Well as I've no hair, no teeth, and I think I just wet my incontinence pants. I'm feeling just like a newborn baby. On Thursday I called into Mr Khan's corner shop and homoeopathy store. He said he had started a new venture and now could provide a supply of various herbs. Khan also had a book of herbal remedies that was used by his grandmother. He translated one recipe for me by way of an example. 'Boil a water vole, with nettles then drink the juice first thing in the morning. Nothing worse will happen to you for the rest of the day.' He told me that he has managed to locate a nearby, a ready source of water voles. He is a very astute old cove. Friday the Memsahib brought home a bottle of a new wine from Khan's corner shop and wine store. It is produced from a specially genetically modified grape. It will apparently reduce the number of trips older people have to make to the bathroom during the night. The new wine is being marketed as Château Pinot More. Twas the Memsahibs birthday on Saturday. I asked her on Friday what she'd like for her birthday. 'I'd love to be eight again' she replied. So I got up early on Saturday and made her a bowl of Coco Pops and a couple of jammy toasties! This was followed by a trip to Alton Towers and made sure that she went on every ride. Then we went to a McDonald's where I ordered her a Happy Meal with extra fries and a refreshing chocolate milkshake. Then it was off to the movies which included a three hour cartoon, a hot dog, popcorn, all the Coke she could drink and a lolly. What a fabulous adventure we had, when we got back she collapsed onto the bed exhausted. I asked 'Well dear, what was it like being eight again?' Her eyes opened and her expression changed to one of total realisation... she replied 'I meant my dress size'. Sunday I had a walk along the towpath with Alvin 'buster' Spotte. When we came across what looked like an encampment of Bedouin Chuggers. I asked them how it was going only to be told that the Cycling Angling Rambling Truss inner sanctum have created a new directorate. Its called the 'elsewhere directorate.' Therefore, all questions, comments, concerns, complaints, frustrations, irritations, aggravations, insinuations, allegations, accusations, contemplations, consternation, FOI requests and written input should be directed elsewhere. In a press release from CaRT 'Help us protect water voles' which you can view here. Click Me CaRT are seeking a donation around £25,000. On the face of it, the project seems to be quite laudable. However, there is a caveat. Such a project needs two things if it is to prove successful. The first is that it has to be an open ended project. It's never going to be successful as a short term project. It has to have a plan for the long term future built in. This is going to require money year on year for the foreseeable future. The second problem is one for the voles and the conservationists. North American Mink are now more widespread than ever. I worked as a volunteer on a wildlife reserve (250 acres, which has since been doubled in size) which was bordered on one side by a river. The reserve had a small population of water voles. When mink started to turn up on the reserve, the voles and large numbers of chicks were soon wiped out. We started trapping Mink, and we were getting 1 or 2 every day. The numbers started to drop after a while to 2 or 3 a month. Then a family of foxes moved into an artificially created Otter halt and soon afterwards a second family of foxes arrived within the same area. The numbers of mink trapped fell further. I think this was due to territorial pressure more than anything else. The mink have to be constantly controlled for a period of time before re-introduction of voles. The pressure on the control of mink has to be kept up constantly afterwards. We knew we were winning when we stopped catching young mink (even at the end of the breeding season) and only trapping adults that were moving into the area. The chick mortality fell drastically, but the voles have never naturally recolonised. Mink will travel along any water course and will cross open land quite happily at night. With no top predator to keep them in check trapping is the only way. The Water Vole Steering Group published more than a decade ago 'Without strategic mink control being carried out in combination with habitat enhancement, we will lose the water vole from the vast majority of the British countryside in our working lifetimes.' I hate to say it - but that is exactly what has come to pass. It's known that Otter numbers are on the increase naturally and through reintroduction. There is some crossover in habitat and food sources between the two species. I suspect that the Otter is a formidable opponent to the opportunistic Mink, but I suspect that its habitat pressure because both are territorial. Rather than one being a predator on the other that makes the difference. However, the mink continues to spread further and further north and the change in habitat is closer to its natural habitat range. Mink are at home in more climates than most mammalian predators on the globe. Mink have been living and breeding in the wild since the 1930's. They have gained a real foothold since the 50's. Nationally there is very little in the way of effective control measures other than advice being offered. So its down to localised control to protect specific areas. Wild life sanctuaries with on-site wardens, river keepers and game such as Pheasant and the associated gamekeeper come to mind. There have been ideas floating around such as developing a virus that targets Mink. Similar to Myxomatosis, a disease that affects rabbits. That idea seems to have dropped out of favour. I shudder at the thought of reverting to such drastic measures. Which I think is just as bad as some other ideas such as introducing non native insects to control other alien species such as Japanese Knot Weed. The little lovable vole was immortalised for ever by the misnamed character of 'Ratty' in The Wind in the Willows. Somehow if a toad can drive a car. Why not a Water Vole in a boat with an outboard motor. Mink are strictly carnivorous, preying on a wide variety wildlife. Mink love the water and much of their prey can be found in and around water. The mink's diet includes fish, shellfish, crayfish, frogs, snakes, large insects, small rodents, rabbits, rats, waterfowl, upland birds and eggs. Mink will also feed on carrion but prefer fresh kills. Mink will prey on animals much larger than themselves, latching on to anything they can get their jaws locked on to. Birds as large as geese are occasional victims. Part of the problem is that mink love the thrill of the kill and will hunt for sport, killing far more than they could ever consume. Mink prefer to hunt in familiar territories around 3 miles long. These territories hug water systems and natural drainage channels. Mink don’t have permanent dens, the only time they den up for more than a day or two is when they raise young in the late spring and early summer. Most of the year mink are on the move, spending up to half of their time in the water probing every little hole in the bank in search of prey. Mink hunt day and night, usually resting only after they have made a kill. Mink will often spend time in the dens of their prey while they feed on the carcass of the last tenant. While mink can be seen crossing expanses of land far from water, creeks and rivers are the mink's favourite areas. Mink have no natural predators and have a fierce, aggressive style of defence. Everyone knows that leaving the mink uncontrolled, in a reintroduction, is in reality just providing water voles as a small snack for the mink. Spending money on re-introducing voles and providing habitat without maintaining the habitat and controlling mink is a waste of time, effort and money. There is some evidence that the reintroduction of Otters can also help to reduce mink numbers within an area. Click Me Once again, I think this was due to territorial pressure as much as anything else. But if CaRT were to spend the money on habitat creation and introducing Otters. Then I could see a much more positive outcome for water vole reintroduction than the existing plan. Sometimes to get a good perspective on how things are stacking up. Its good to take a look back at what people were saying and doing in the recent past. Its called foresight or in some circles technology foresight. Much of the research into foresight techniques has been rather fuzzy work and has been very elitist. Foresight attempts to go beyond the normal and gather information from much more diverse sources. Foresight is intended to be used for long-range planning that's influenced by using a structured and systematic approach. Foresight is helpful to examine alternative paths and not just what is currently believed to be most likely or business as usual. Measuring how effective foresight is requires a benchmark. The benchmark to measure against, is what has taken place in the recent and distant past. One issue that has been quietly swept under the carpet were the allegedly 'independent' - to be elected by boaters to represent boaters - Canal and River Trust council members. The whole idea was kicked off in the Boaters Update. Would you like to stand for election for the Canal and River Trust’s inaugural Council and get involved in shaping the future of Britain’s waterways? Seven positions on the council are to be filled by boaters or boating businesses. Four positions are to be elected by boat licence holders and two positions elected by boating businesses. The Council is the guardian of the long-term values and purposes of the Canal and River Trust. While the trustees are responsible for determining policy and strategy, the Council will have an important role in helping to shape policy, raising and debating issues, and providing guidance, perspective and a sounding board for the trustees. Short of actually using the phrase 'independent' with no mention of allowing the Inland Waterways Association who already had seats set aside to ride roughshod over the issue as they did. With the three line whip of the membership to get the anointed ones elected. It should have come as no surprise that the 'independent' candidates elected were also high ranking players within the IWA. True to form the following IWA candidates (in order of election) were elected. Ivor Henry Caplan, IWA Trustee. Ann Farrell, IWA Tea lady. Clive Henderson, IWA Trustee, ex IWA Chairman. Keith Vaughan Welch, IWA Trustee, IWA West Midlands Region Chairman, IWA Deputy National Chairman and IWA Chairman of Restoration Committee. Now, I and others expected to hear from the anointed 'independent' representatives. But with the notable exception of Vaughan Welch who took a beating on the boating forums over a diatribe he issued on continuous cruisers. The silence is deafening. Prevent navigation being subsumed by other waterway interested bodies. Stop the spiralling costs of boating. Seek internal and external cost reductions. Reduce ‘top heavy’ Management costs. Establish salaries equivalent to ‘like’ charities. Develop a proper dredging programme. Increase provision and improve essential boaters facilities. Re-establish the Right of Navigation. Establish opening hours to suit the users. Compensate for long term closures. Legitimize those who have chosen the waterways as their home. Develop measures to enable all levels of society’s participation in traditional boating activities. argue for the primacy of navigation and boating as benefiting all waterways users. continue to champion the total heritage of the inland waterways. make the case for responsible residential boating as a major benefit to CRT. fight for the survival and regeneration of lesser used parts of the system. campaign for boating activities to be made accessible and affordable for all sectors of society. negotiate for maintenance including dredging to the highest possible navigable standards. Well at least he admitted he was representing IWA members. I have been unable to discover any particular item. So maybe she will bring the fairy cakes. I expected to see them building links with non IWA members. I expected to read information maybe a website or blog or two. Everyone has been strangely and rather ominously quiet. 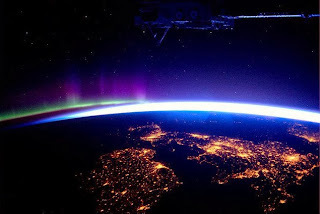 Nasa publishes many astronomical photographs. 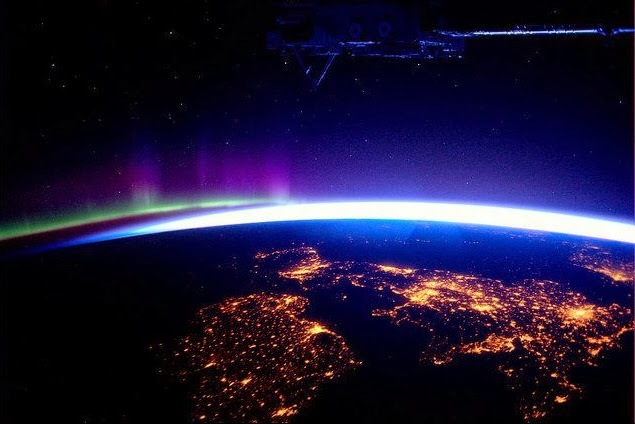 Here is one photograph taken from the International Space station of Great Britain and Ireland. Cities such as London, Birmingham Manchester, Glasgow, Edinburgh and Dublin can be picked out with ease. So next time you go out, don't forget to turn out the light. Often the images we see are of deep space objects from the Hubble telescope. Many of the objects imaged are hundreds of light years distance. The colours are stunning and the scale is almost unimaginable. 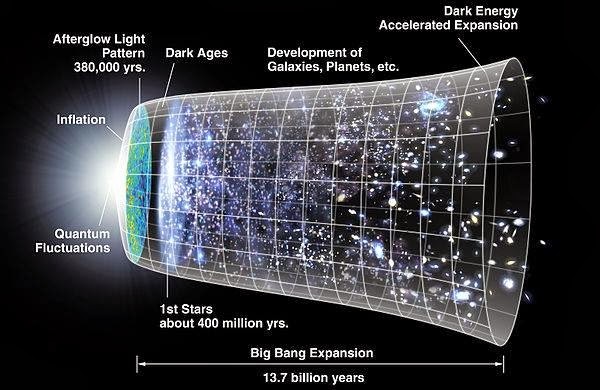 Where the vast distances are calculated in units of light years. A light-year is an astronomical unit of length equal to just under 10 trillion kilometres or 6 trillion miles. The light-year is most often used when expressing distances to stars and other distances on a galactic scale. Especially in non-specialist and popular science publications. Like computer science uses units in binary counting in '2' or hexadecimal counting in '8' The preferred unit in astrometry is the parsec or '3.26 light-years' Used as it can be more easily derived from and compared with observational data. The light-year is a measure of distance, not of time. 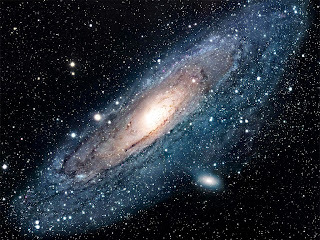 The image above is of the Andromeda Galaxy (Messier 31) which is a similar sized galaxy to our own. Often used as an example of what the milky way would look like if we were on a planet in the Andromeda galaxy. 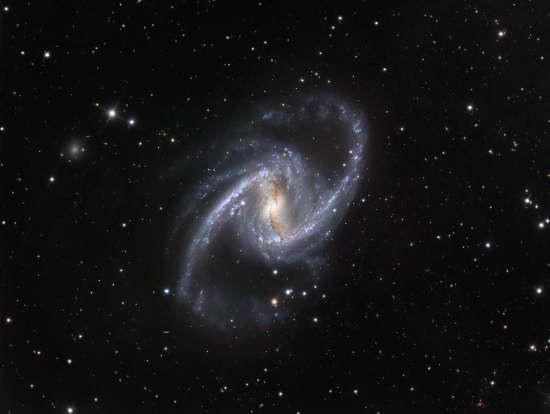 However, If the latest research is correct, then the actual shape of the Milky Way would be much more similar to what is known as the Great Barred Galaxy, affectionately known to astronomers with the catchy name of NGC 1365. If that is the case then what our galactic home looks like would be much more like this. Light from the moon takes about 1 second to reach us. Light from the sun takes 8.3 minutes to arrive here. Earth is located about 27,000 light-years away from the galactic centre. Our galaxy is called the Milky Way and is estimated to be some 120,000 light-years in diameter. Having a means of communications to hand is essential on a narrowboat or any other kind of boat for that matter. The mobile phone has evolved into the smart-phone which can provide a whole plethora of communication capability. Including voice, text, photographs, video, computer data, mapping, browsing and many others types if only through the various smartphone applications that are available. However, there are one or two weak links in the use of a smart-phone that you need to be aware of. 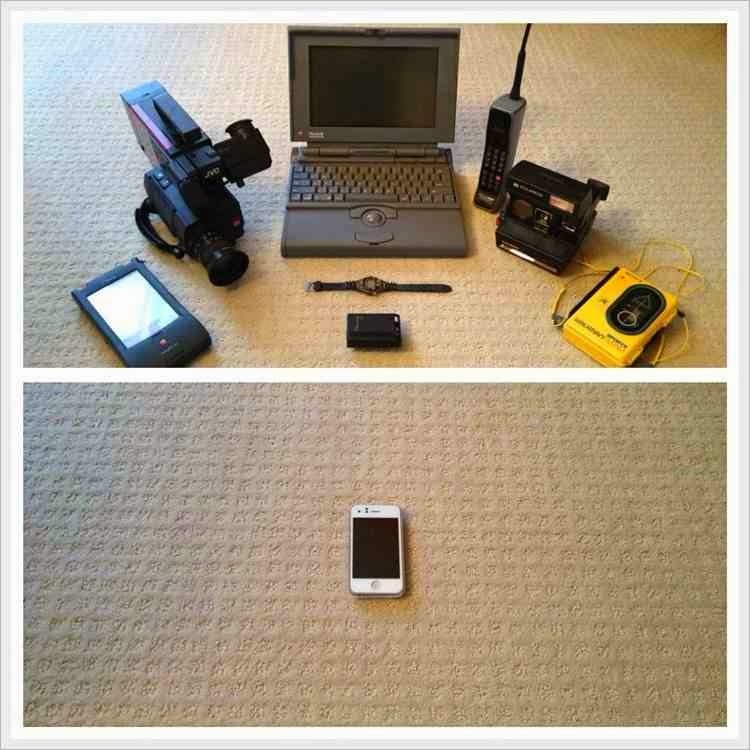 The capability of any smartphone is severely limited by the availability of battery power. As the battery becomes depleted of charge its life of effective operation is reduced. So never leave home without some way of recharging the battery. Your best friend is the battery charger. For my smartphone I have a mains charger, a car cigarette lighter connection as well as a usb charge cable. The smarter you use the smartphone the shorter will be the operating time of your battery before it needs charging again. I always have the original battery (1350 mAh) as a spare with me at all times. This battery is kept fully charged. I have also fitted a higher capacity battery (2450 mAh) into the phone. I have been able to do this without the need for a replacement phone back as the two batteries are identical in physical size. Did you know that your mobile phone transmits a signal even when not in use. Your cell phone network needs to know where you are, it has to, to find you when someone wants to make a call to you. It has to know where to go to connect to you. It can't go "searching" that would be too cumbersome. This is true even if the phone is not being used (but it does have to be switched on). Periodically, the cell phone will send out a signal to the local network that identifies the phone to the nearest cell phone tower. Old style of mobile phones were very crude in operation. The smartphone has been changed so that its internal transmitter, only uses enough power to communicate with the nearest cell. The power level used by the mobile phone is one of the most important factors determining the life of the battery. Mobile phone calls made in areas where base stations are densely situated (urban areas) should use lower output power levels than mobile phone calls made in areas with larger distances between base stations (rural areas). The operator’s network controls and adjusts the output power of each connected mobile phone to the lowest level compatible with a good signal quality. This is obtained by logarithmically scaling the power from the maximum 1 or 2 watts down to a level that may be as low as 1 mW. Such adaptive power control (APC) takes place continuously, with the selected power level depending on several factors, including the distance from the base station, the presence of physical obstacles, whether the phone is used indoors or outdoors. In other words the transmit power is variable. When close to a cell, the transmit power is much lower than when the phone is communicating with a cell much more distant. Imagine what happens when you go into one of the black spots where coverage is very poor. The phone will use maximum transmit power to try to establish and maintain a link to any cell it can hear. Imagine what happens to your smartphone battery when you are passing through a long canal tunnel. The inside of a metal boat can also shield the phone and again the smartphone will try and establish a link to the nearest cell. The best battery saving tip is to power down your Smartphone whenever not needed. If you don't want to be disturbed at night for any reason, then turn it off. If you need to keep your phone switched on then it would be a good idea to turn off applications that you don't need. You can even use an app to turn off the apps running on your phone. I will look at other ways of prolonging battery life in the next in the series of Smartphone Apps for Boaters. Not a great deal to report I'm afraid from the back deck on Nb Dulwich Dishwasher. In a disappointing revelation Sir Asa Haggard-Luke as said "In the, will she won't she guessing game, the 'Grand Poobah' Mrs Antonia 'tonker' Snailes charwoman of the truss has decided to hang on a bit longer." Lady Poobah of course holds numerous exalted offices, including First Lady of the Toilet Key, Lady Chief Junket Organiser, Commode-in-Chef, Lady High Admiral of the ditch, Arch deaconess of Titipu, Lady Mare and Lady High Everything Else. I bumped into Roger 'snodders' Snodgrass in the bar of the 'Broken Windlass' he was saying that he had been to visit the dentist. He had been to get fitted with a set of replacement false teeth. The first day after he had his new teeth fitted, he could only talk for an hour before his gums were sore. On the second day, he was able to talk for an hour and a half and his gums were sore again. But today, he had accidentally put his other half, Doris teeth in by mistake and he found that he couldn't shut up. I called in at Khan corner shop and emporium. He introduced me to a new line in boat paint that he is stocking. The top one was the world infamous MalletRite paint. Which are only available from all the best chandlers emporiums. The paint is provided in two sizes 45 gallon or 210 litre. The keeping to the traditional colour range of mournful red, gloomy green, irate indigo, dingy brown, furious purple, grubby yellow, careworn pink, grimy ivory and angry blue. All are available in matt, dull and flat. New colours introduced this year include heavy black, medium black, pale black and dreary black. All are available in lustreless, lacklustre and lacklustre extra. There is also a self weathering ferric range as well. The Memsahib reports that the truss sink fund is in dire trouble following another loss making investment. The problems stem from the sub-prime lending market and the bailout of British Banks. Uncertainty has now hit the far east markets. In the last seven days Origami Bank has folded, Sumo Bank has gone belly up and Bonsai Bank announced plans to cut some of its branches. It seems that the truss had invested in the Kamikaze Bank. Furthermore, five hundred staff at Karate Bank have also got the chop. 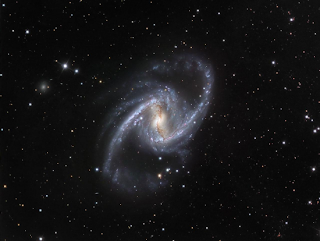 Last year we launched the Andromeda Project (http://www.andromedaproject.org/) and asked the public to help us locate star clusters in our nearest neighbouring galaxy: Andromeda (M31). The project was a phenomenal success and in less than three weeks volunteers had classified more than a million images. This week we want to try and do it again! Today we're releasing a whole new batch of data into the Andromeda Project and we're calling this Round 2. The data you'll see are amazingly detailed images from the Hubble Space Telescope, which has peered deep into Andromeda as part of the PHAT survey. The aim of the Andromeda Project is to the locate all the star clusters and background galaxies found in PHAT and to build up the most complete map of any spiral galaxy anywhere. This is amazing science that can only be done with the help of citizen scientists.To join the Andromeda Project visit http://www.andromedaproject.org/ - thank you and good luck! The Canal and River Trust has a bewildering number of people who are in one way or another tied into organising the future and direction of the trust. For each of the trust’s eleven waterway areas there is a Waterways Partnership allegedly drawn from local communities. In reality chosen by the chairman of the partnership. The role of Waterways Partnerships is completely advisory as are the roles of various other groups involved in the governance of CaRT. Plus a couple more extra partnerships thrown in for good luck. With around a dozen or more people on each partnership. Each individual is encouraged to have a view and therefore holds a different agenda. The cost to us of all these 'incidental top level volunteers' getting involved in the governance was £662,000 last year or about £4243.58 each! The partnerships were supposed to be self funding, and any surplus generated was supposed to go into CaRT's coffers. At the moment CaRT is putting money into the partnerships. That is an ongoing situation and I fear it is not going to change any time soon. In reality the partnerships seems to have all the hall marks of a job creation scheme. It does appear on first glance that some are setting up their own little fiefdom and that nepotism is still alive and well. As for the 'find-a-friend' chuggers, I have fond memories of being accosted by a chugger in Birmingham. Just after the 'grand opening of CaRT' in Gas Street. The company of chuggers that CaRT employed then promptly went bust after a few short months. The two 'friends' figures I have seen touted around are 4k and 5k. Both figures woefully short of the target set for the first year. But why don't CaRT set a low figure and then have something to celebrate rather than a figure they can't reach and then have to defend the situation. Unless of course, it was a low figure that they set and then completely missed that by a country mile? Somehow a charity asking the public for donations with 'canal' in their name is not as catchy as one like 'British Waterways Trust' would have been. Plus it would have saved a fortune on the rolling out the new name and a logo encapsulating the posture of an angry swan. So I drew together my own partnership team. I posed them the question of what would be the best way forward for CaRT. Their collective answer - 'start again' but what do they know! How many of the special people making up our partnership team do you know? Click the image below for the names! Thinking out of the box (also thinking out side of the box, thinking beyond the box or thinking the unthinkable) is a metaphor that means to think differently, unconventionally, or from a new perspective. The cliché, has become widely used and refers to novel or creative thinking. Thinking out of the box, is forcing yourself to give considerations to options that you might discount in the first place. To think outside the box is to look farther and to try not thinking of the obvious things, but to try thinking beyond them. I love history, ever since we started hire boating. I have read as much as possible about the history and the life and times of those working on the inland waterways. There are many books, some good some bad written about the canals. Some of the best have been written by the 'Idle Women' a title bestowed upon the women who joined the Inland Waterways during the last war. The waterways were used extensively during the last war. But once the war war over the usefulness of the canals was forgotten once again. "Is it the beginning of the end or the end of the beginning" is a play upon the wartime quote of arguably the greatest statesman this country ever had. Winston Churchill was the right man, in the right place, at the right time. Affectionately known during the wartime as 'winnie' he was a larger than life figure who could motivate and inspire with words and deeds. His talent was to surround himself with people, we would call today 'movers and shakers'. He was also a man of vision. There are many volumes written by and about this charismatic man of his times. There were others who could also lay claim to being 'the right man, in the right place, at the right time.' One such individual was Robert Aickman. He was certainly a man of great vision, Aickman is sometimes described as the father of the 'Inland Waterways Association.' Aickman was in his own way, fighting a war to preserve the inland waterways that we enjoy today. Aickman's plan was quite simple, it can be encapsulated as "If the waterways had to remain open for the passage of boats. Then the waterway would remain there in perpetuity for boating and every other kind of waterways activity." Many canals were threatened with closure which enthusiasts opposed whenever they could and conflict with officialdom was inevitable. One way to attract the people to the canals was through organised festivals. The IWA's flagship event was the 'National Waterways Festival'. The membership past and present of the Inland Waterways Association owes a great debt to Robert Aickman. Albeit not on the same scale as the public owed to Churchill. There are never the less volumes written by and about this enigmatic and visionary man of his times. Now with the passing of the IWA's flagship event the 'National Waterways Festival'. I can't help but wonder if the passing is also marking the end of an era. Looking back over recent years there has been a steady decline in membership and quality of leadership. In a way the decline is mirroring the fall into disrepair of the waterways during and after the war. An act that would have relit the fire in the belly of Aickman and his compatriots. Bringing the issues back to today. The parlous state of our waterways continues now with the deliberate underfunding of maintenance. The national treasure that are the Inland Waterways are once more slowly and inexorably being ushered towards the abyss. Where is Aickman's association at a time when its needed more than ever. It would appear that the IWA's once fierce and hard won independence has been bought for a few places on council. The document of surrender and capitulation signed with the 'memorandum of understanding'. A piece of paper that's as worthless as that of Churchill's predecessor Chamberlain. What price now for Aickman's simple but visionary plan. If the waterways had to remain open for the passage of boats. Then the waterway would remain there in perpetuity for boating and every other kind of waterways activity. Over the last few years, new waterways groups have either broken away or evolved. There to represent and protect what might on first sight, be considered as minority interests. Don't be fooled into thinking that small groups have no teeth. Times have changed and one single association cannot represent everything. However, I can see the day when there will be 'an association' for waterways groups. Where support and succour can be shared in a common interest. One where the waterways have to remain open for the passage of boats. That the waterway will remain there in perpetuity for boating and every other kind of waterways activity. Parts of the Inland Waterways are now managed as a charity. There has been a huge change in how it it is funded. This change will dictate the way that it will have to operate in the future. Once under the remit of British Waterways as a quango it could ignore opinion and plough its own furrow. Now, it has to operate under very close scrutiny. This is very much the same as Aickman's plan of positive action. When the last of the dinosaurs of ex BW senior management have gone. When the era of a silo mentality and 'us and them' comes to an end. When secrecy surrounding issues finally comes to an end. When accountability is acknowledged. When fresh ideas and practices are embraced and encouraged. When the hearts and minds of all waterways users are won over to a common challenge and shared future. Then the future of the Inland Waterways will prosper. I pay quite happily around £50 a year supporting a number of small waterways groups who I think will help to make a difference. I don't want to be given the belittling title of 'friend'. The first step towards a shared future is when the Canal and River Trust embraces a paid membership. When I and others like me see openness and transparency as the norm. Ask yourself a few simple questions. Will the names of Robin Evans or Tony Hales ever be revered or held in the same public perception as Robert Aickman. Would the title 'visionary' apply to any of the ex BW directors. You could ask the very same questions of recent holders of the chairman's role at the IWA. I hope their a taker, for my advice, I am a giver. I hope their a taker, for best advice, I am a giver. I hope their a taker, for good advice, I am a giver. I hope their a taker, for advice, I am a giver. You may have seen information about the design project for the CaRT begging bowl. A group of design students were asked to produce a new collecting bucket that symbolised the canal and River Trust. Along the same lines as the Life Boat for the RNLI or the dog for the RSPCA. The design had to carry the idea of the inland waterways and its heritage. So as the weather has turned a bit chilly I decided to have a day aboard Rosie and come up with a suitable design of my own. My remit is broadly the same one as the design students. This is what I came up with. My first thought was to work around the heritage aspect. Elaborate ceremonial or ritual buckets in bronze, copper or other materials such as pigs bladders and old goat skin are found in several ancient or medieval cultures. My second thought was that the bucket has been used in many phrases and idioms in the English language. 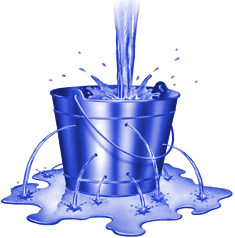 A 'drop in the bucket' for instance means a small, inadequate amount when given in terms of how much is requested or asked. This seemed to be quite an appropriate reason. 'Kick the bucket', is often used as a euphemism for someone's death. Not forgetting the 'Bucket List' being a list of the things you want to do before you die. My third thought was carrying the message of water, when used to transport water the bucket often gets renamed to pail. The pail is also used to bail out a sinking vessel hence the phrase 'grab the pail and start to bail' and this for me had the same sort of connotations as the collecting box. My fourth thought was that the leaks and holes in the pail were to represent the condition of the banks and locks around the system. Plus it needs a catchy name and I though that 'Hales Pail' was a good one. So that we would always have a reminder of the way that the canals have flourished under Chairman Hales. My last thought was to appeal to children. 'There's a Hole in My Bucket' is a children's song. The song is based on a dialogue about a leaky bucket between two characters, called Henry and Liza. It could also in its own way describe the way that maintenance is carried out on the inland waterways. The song describes a deadlock situation where Henry the CaRT worker has got a leaky bucket, and Liza the boater tells him to repair it. But to fix the leaky bucket, Henry thinks he needs straw. To cut the straw, he needs a knife. To sharpen the knife, he needs to wet the sharpening stone. To wet the stone, he needs water. However, when Henry asks Liza how to get the water, Liza's answer is "in a bucket". The only bucket available is the leaky one, which, if it could carry water, would not need repairing in the first place. So there you go, heritage, water, maintenance and a children's song all encompassed in a single item that represents the inland waterways. The only other thing missing is the poetry carved into the handle. So I thought I should give it a go. you're going to like it, but not a lot.